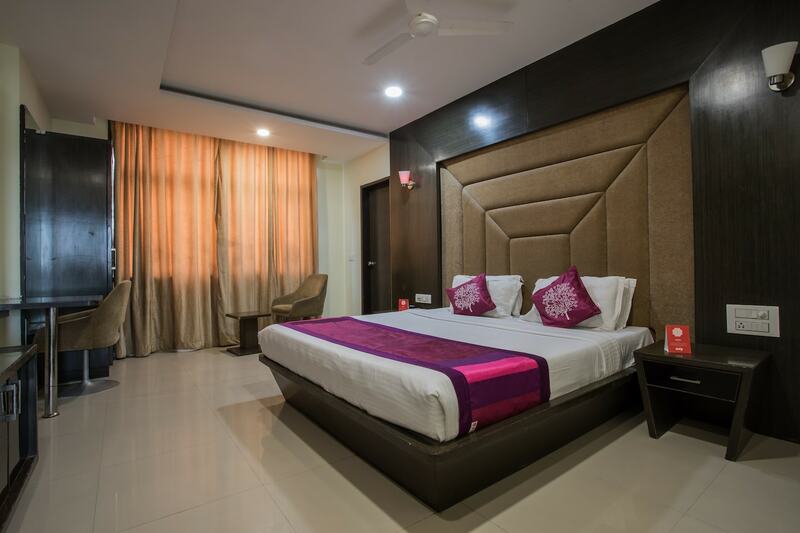 The spacious rooms provided by Sensation Hotel have a lavish interior decor and promises comfort to its guests. Woodwork is included in the interior decor and a lot of bright colors have been used throughout the room. The rooms have been provided with large windows which allow sunshine into the room, making the space lively and vibrant. The cushioned headboard makes the stay comfortable and adds a touch of elegance to the space. The notable feature of every room is the plush sofa set. The extra facilities provided by the hotel are free Wi-Fi, card payment in all forms, an elevator, power backup source, parking provisions, laundry provisions, room heater in every room and CCTV cameras. The in-house facilities include a bar, a restaurant, a living room, a conference room, a banquet hall and a common dining area.